It’s the ideal pitcher to brew a generous 3 litres of your favourite tea. The crystal clear borosilicate glass jug features a removable strainer with an ice catcher at the spout, so it's ready in minutes. 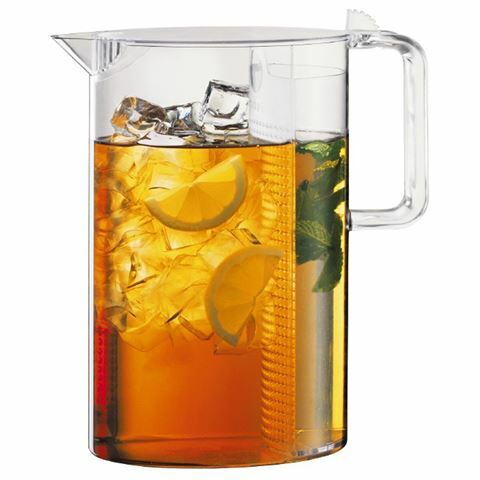 Allows you to brew ice tea using any loose-leaf tea. Works in just minutes – simply add tea and hot water. Works with both hot and cold brewing methods. Filter lid locks in flavor and keeps out any unwanted odours. Also suitable or infusing water and other beverages with fruits and herbs.